The black box construction branded ‘DIOR’ was so big it obscured the view of the Eiffel Tower. 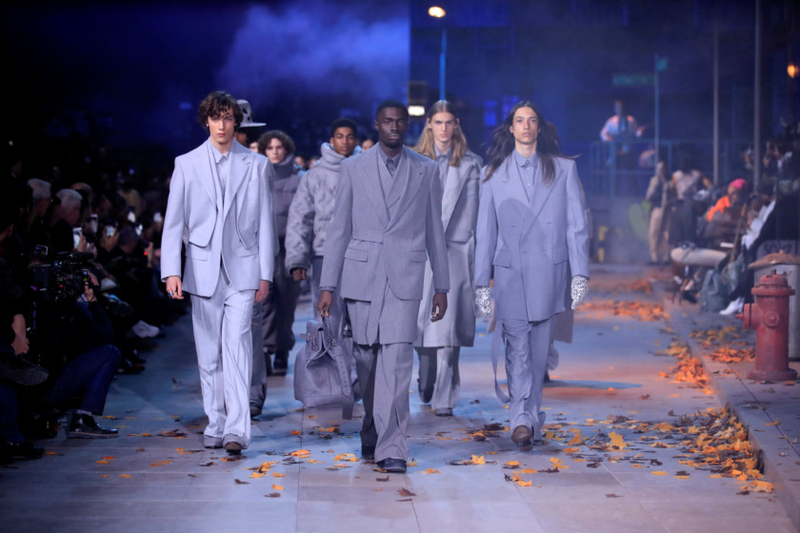 At 2,840 square metres, the sheer scale of menswear designer Kim Jones’ pop-up venue could only mean one thing: that he was competing for show of the season on Friday at Paris Fashion Week. 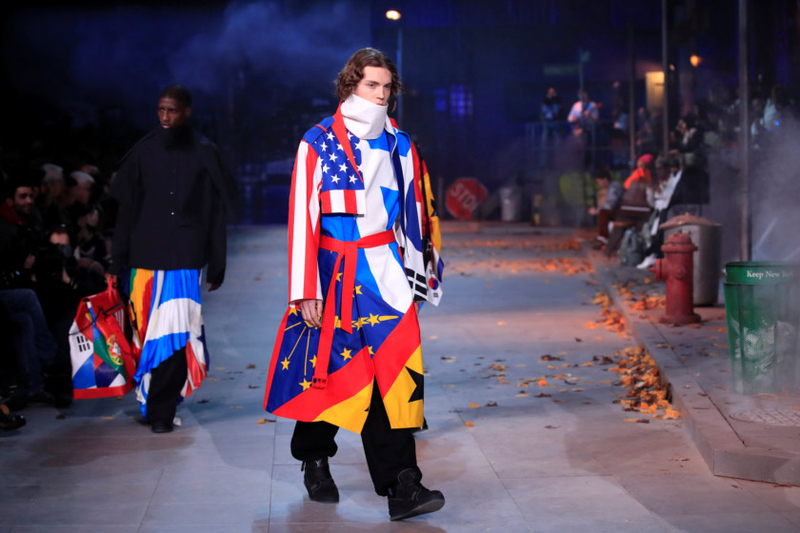 Louis Vuitton’s designer Virgil Abloh transported celebrity guests to the graffitied streets of New York in a dramatic menswear ode to Michael Jackson. Abloh, the first African-American to head a major European fashion house, used his unique platform to celebrate one of America’s most globally recognised and celebrated black performers. 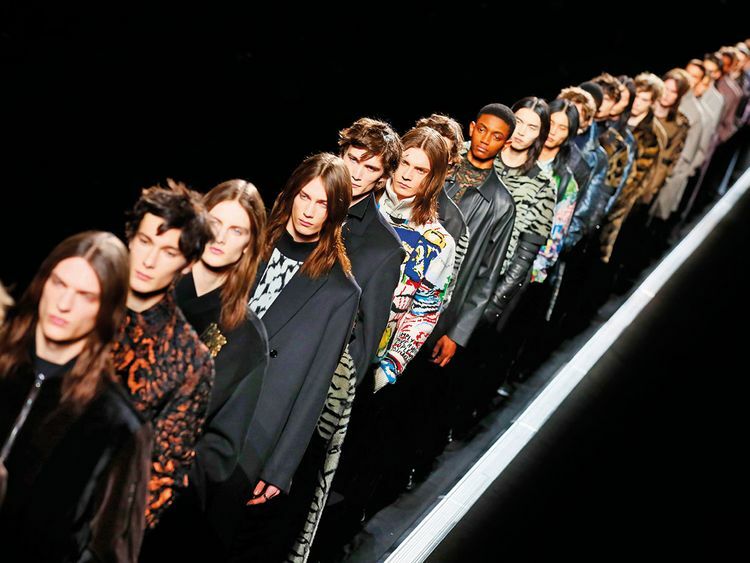 Here are some highlights so far from autumn-winter shows at Paris Fashion Week. At Dior Homme, a snaking, metre-wide conveyer belt began moving to thumping music as models in dark, shimmering and couture-infused looks filed by. A contemporary version of 19th-century spats — banding across the ankles — and arm-length leather gloves added to the show’s romantic, almost swashbuckling, mood. Jones added an edgy interpretation to the strict codes of Christian Dior, the designer who died in 1957, by translating his obsessions. Dior’s love for big cats became a white tiger fur T-shirt hybrid. The late designer’s penchant for superstition became charm bracelets, and his initials a ‘CD’ fastening on a safety pin. Dior’s love of art became a sparkling print of a frowning Mona Lisa on a shirt, jacket and sweater. A young, skinny actor resembling the late Jackson as a boy drew applause as he ran and danced across the impressive set of a poor New York neighbourhood. Guests clutched their show invites that comprised a single bejewelled white glove, as their eyes were led past a Chinese business store, New York street signs, sidewalks littered with dead leaves, and a barber shop ending at a saxophonist playing on the street. Later in the show, Abloh made a series of prints based on a cartoon in Jackson’s 1978 film ‘The Wiz’ that became a cult classic among black audiences.